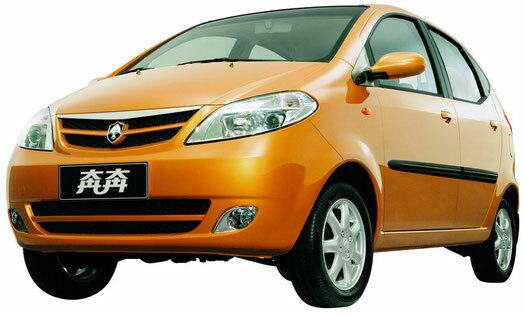 Chana Auto Co. Ltd. Ltd (ChangAn), is one of the most popular automakers in China. The location of its headquarters is the city of Chongqing. The company Chana began to operate for a long time. It originated in Shanghai in 1862, the merit of which belonged to Mr. Hongzhang Li, a man who made a significant contribution to the Movement to the west of the Kin dynasty. At that time, it was called the Shanghai Foreign Bureau, which demonstrated high rates of development, in order to become the first industrial group in modern China. For the first time Chana declared itself as an automobile manufacturer in 1957. Just by this time the appearance of the first Jeep in China market, called the Yangtze River, is on the market. In 1984, the company began a productive and successful technical and commercial cooperation with the Japanese manufacturer Suzuki. Chana Auto Co. Ltd is a company that is waiting for a good future. In 2008 the number of its personnel was 140 thousand people. This includes scientific and technical staff, and in addition, various research institutes located both in China and in a number of European countries (Italy, Germany). The group's activities are represented by eleven factories specializing in the production of cars, it provides the receipt of a full model line of products, including low-, middle- and lux passenger and commercial vehicles. Demonstrated volumes of production and sales by the company allow to include it in the top 20 world manufacturers. Along with this, ChangAn works a lot on quality and safety. It is considered the first automaker in China, which defined the rules for crash tests for Chinese mini-cars. Chana Auto Co. Ltd develops cars, always observing a number of main principles and purposes: it must be machines that have low fuel consumption, environmental protection and maximum functionality. The corporation intends to continue to produce mini cars, pay attention to the development of production of sedans, as well as the expansion of commercial automobile lines and the introduction of the market of service. Group ChangAn had to spend a lot of time, effort and money in order to become a world-class company in a short period of time. In 2007, the company Chana Auto Co. Ltd managed to launch 854600 vehicles on the market, the total commercial profit for this period was 57.3 billion yuan ($ 7.85 billion). The figures, which Chana achieved in 2007, allowed it to take the 4th place among all manufacturers of China. Chana Auto Co. Ltd has an extensive external commercial network, which is represented in more than fifty countries and regions of the world. In 2007, the company was able to export approximately 40,000 cars, which allowed it to take the third place among the Chinese car manufacturers. Chana is a group that demonstrates rapid growth rates. At its disposal are three production bases - in the south-western, eastern and northern parts of the country. The number of business partners of the Chana Group includes many international auto leaders, which are Ford, Mazda and Suzuki. In addition, Chana, together with some of the above-named world-famous companies, took part in the creation of joint ventures in China, among which ChangAn Suzuki Auto Corp., (1993), ChangAn Ford Auto Corp. (2001) and ChangAn Ford NanjingCorp. (2004). Already after the ChangAn Group was established, it began to increase the volume of production and sales of cars to 30% each year.